We partner with engineering firms like yours to provide highly accurate field data for real time, system wide flow data 24/7. Our services include waste stream system analysis that encompasses CSOs and system infiltration. In addition, we offer planning; decision making; and defensible infrastructure budgeting. Whether your clients need comprehensive hydraulic modeling, temporary or permanent flow monitoring, smoke or dye testing, we have experienced field crews with state-of-the-art technology and trained analytical staff providing all the information you need. Waste stream management and control is only possible when there is a comprehensive understanding of existing infrastructure and the impact of inflows from multiple sources including weather-related incidents. As a result, you can have complete confidence in the engineering design and recommendations you make to your clients. Flow Assessment is the most experienced provider of design strategies, data collection, and analysis in the Northeast and Mid Atlantic states. Our flow meters, rain gauges and other instrumentation undergo regular calibration review to assure ongoing accuracy. Our methods and expertise are widely recognized by instrument makers who often ask us to Beta test next generation equipment. 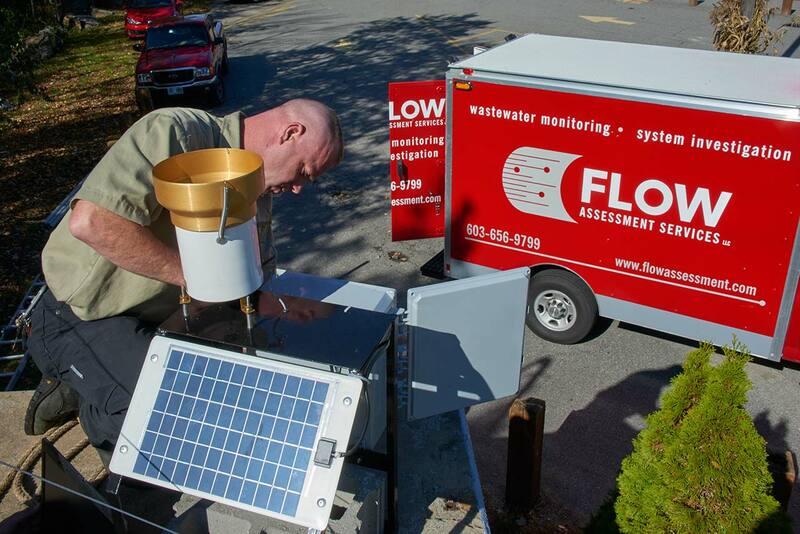 Flow Assessment Services, LLC provides the Northeast and Mid-Atlantic regions with state-of the-art flow monitoring, manhole structural inspection, smoke testing and other SSES services. Read more.